The York Suburban Education Foundation (YSEF) is pleased to announce it has awarded eleven grants totaling $55,078.54 through its 2017 Grant program. A grant of $1,549.34 will allow the third graders at East York Elementary to participate in experiential learning opportunities in science and mathematics through the purchase of portable greenhouses. As these students are applying their content learning by âgetting dirtyâ growing their own seedlings, they will also engage their community by marketing and selling the plants they grow at the annual East York May Day.Â The greenhouses will also be utilized by East Yorkâs newly created Envirothon team for fifth graders as they conduct experiments and research.Â This grant was made possible from endowment proceeds through the Jeffrey D. Sindicich Foundation, a donor endowment fund held by YSEF at the York County Community Foundation.Â The fund is in memory of Jeffrey Sindicich, York Suburban graduate class of 1986. In 2016, YSEF supported this pilot program which aims to build connections through âImagine Learningâ, an award-winning software program that features interactive content for the increasing population of English Language Learners. This program provides first-language support in 15 languages, while gradually translating reading for the students to begin acquiring essential English language skills.Â To encourage consistent participation when school is not in session, this $750 grant will fund three face-to-face activity meetings throughout the summer with students and their families to keep the program active and celebrate student progress with families through fun incentives. 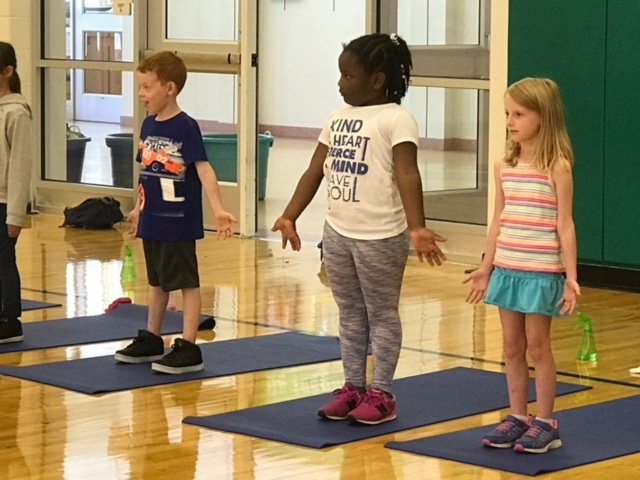 The goal of these two grants, totaling $2,339.54, is to enhance the districtâs innovative approach to improving studentsâ social-emotional well-being through lessons in mindfulness inspired by The Mind Up Curriculum.Â This grant will facilitate the creation of a Mindful Moments Room, a private space with a calming atmosphere where students can go to focus on the present, calm down, relax, and re-center.Â It will also provide teachers professional development on the benefits of yoga, yoga-based breathing and relaxation techniques.Â Yoga classes for students, led by a professional instructor, will also be part of the learning experience with the goal of working toward independent skill use.Â Students who learn to effectively use mindfulness strategies have more effective concentration during instruction, are better able to nurture and develop healthy friendships, have improved academic skills, have better time management skills, have lower anxiety and stress levels, and have improved working memory. YSEF has awarded $40,000 to be distributed among these four grants in support of a district wide âLearning Commonsâ strategic initiative to incorporate STEAM (Science, Technology, Engineering, Arts, Mathematics) concepts into the York Suburban curriculum at all learning levels. STEAM promotes inquiry and project-based learning, collaborative learning, critical thinking skills, innovation and creativity. From incorporating coding, engineering, and design into kindergarten lessons to enhancing STEAM labs in the high school to transforming the middle and high school libraries into flexible learning spaces that allows for collaboration and exploration, the collective âYork Suburban Learning Commonsâ grant reinforces the districtâs dedication to maintain academic rigor, critical thinking and problem solving skills.Â These grants are supported with corporate funds donated to YSEF through the PA State Educational Improvement Tax Credit (EITC) program. In 2016, YSEF granted funding to Katie Green to launch âTrout in the Classroomâ (TIC), an interdisciplinary program provided by the Pennsylvania Fish and Boat Commission, Pennsylvania Department of Educationâs Environmental and Ecology, and Pennsylvania Trout Unlimited. This successful pilot program, which allowed students to raise brook trout by observing and monitoring a coldwater ecosystem in a classroom aquarium, exceeded student engagement expectations.Â This $3,000 grant will allow the TIC program to expand into two more science classrooms so that all 7th grade York Suburban students benefit from this exciting experiential learning. This $1,295.00 grant will provide funding for a web-based product that is designed to teach students the fundamental skills that employers have identified as key to success in the workplace. This cross-curricular program will cover topics including work habits, workplace effectiveness, communication skills, business etiquette, and the job search.Â This program will offer necessary tools for success upon graduation regardless of a studentâs post high school plan. Growing on the pilots of similar grants awarded for adaptive furniture options in 2015 and 2016, this $6,144.10 grant for alternative classroom furniture in middle school math classes will provide for standing desks benefiting the physical, cognitive, and emotional needs of middle school students. These desks will enable students to focus and boost brain function, which research has shown to promote academic growth.Â Providing students with desks where they can stand will continue to benefit students through increased levels of engagement while encouraging more discussion, collaboration, and ultimately, higher level thinking.